Who was the greatest lightweight ever? To answer that question, and I have been asked this many times the same, my answer remains the same – there were actually two of them and in my life time I had the pleasure of able to see one of them – Roberto Duran. The other was way before my time and he was Benny Leonard who fought from 1911 to 1932, a superb boxer puncher who dominated the lightweight division in his era. 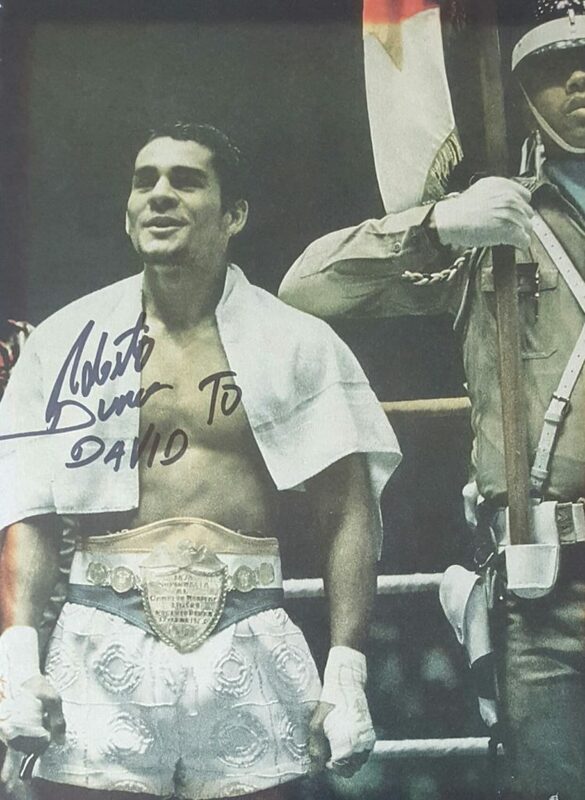 Roberto Duran (nickname Manos de Piedra – Hands of Stone) is undoubtedly the greatest lightweight (135 lb) champion of our time and, at the peak of his career, definitely ranks in the top 10 best pound-for-pound boxers ever. 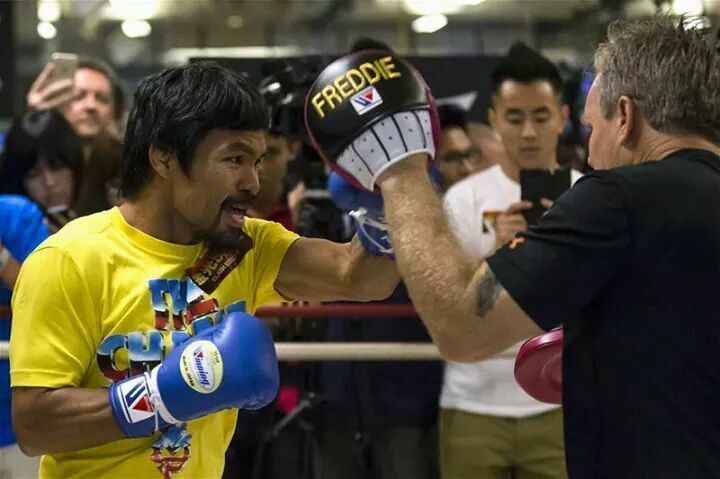 He fought the best fighters such as Hiroshi Kobayashi, Ken Buchanan, Esteban DeJesus, Ishimatsu Suzuki, Ray Lampkin, Carlos Palomino, Sugar Ray Leonard, Wilfred Benitez, Pipino Cuevas, Davey Moore, Marvin Hagler,Thomas Hearns, Iran Barkley, Vinny Pazienza, Hector Camacho, and William Joppy – just to name a few. In February 1968 Roberto Duran has his first professional fight and won thirty in a row leading up to his first title bout in June 1972, where he defeated Ken Buchanan for the WBA Lightweight championship. 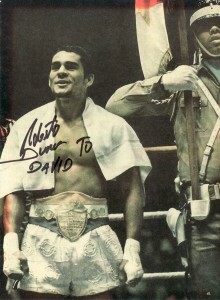 Duran made twelve successful title defenses before giving up his champion’s belt in February 1979 when he moved up in weight to the 147 pound welterweight class.